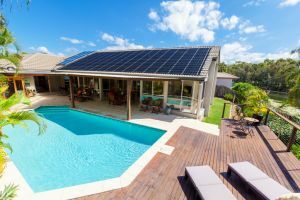 Advances in residential solar battery technology and concurrently falling costs could provide impetus for more households to investigate the benefits of installing a system, however whether the economics stack up will depend upon individual circumstances. Certainly, the goal of solar battery companies is to make the technology more economic, and the industry as a whole has taken significant steps in recent times, with a number of different companies now offering products within the New Zealand market. The Sustainable Electricity Association of New Zealand (SEANZ) notes via its website that a range of battery technologies have been developed. There is certainly potential for residential solar battery systems to change the way that households consume power – so, what do these systems offer, how do they work, and which companies are active in the industry? It is worthwhile noting that solar systems have enjoyed a surge in take-up in recent years, in turn potentially paving the way for more battery systems to be delivered to market. Electricity Authority figures released in December last year showed that small-scale solar connections (generation with a capacity of less than 10 kW) had passed 11,000 in 2016, with over 2,000 installations having taken place in the previous 10 months. With the market growing in size and profile, a range of new technologies, including home solar battery storage units, are beginning to gain traction. “We are also working to encourage distributors and retailers to provide accurate price information for consumers that are in the initial stages of considering whether to adopt new technologies, such as electric vehicles, batteries, solar power and energy management apps,” Carl Hansen, Electricity Authority Chief Executive, commented upon release of the figures. Certainly, it appears that, in the context of growing solar interest, the residential battery storage industry is poised for further development in the coming years. At a basic level, solar batteries link up with solar panel systems, providing for excess generation to be stored for later use, with the amount of energy capable of being stored dependent on the capacity of the battery. This reduces reliance on the grid, while some households, depending on individual circumstances, may look to employ battery technology in going off-grid. A number of different battery technologies are being utilised by companies for use in storage systems, each with its various comparative pros and cons (which are often determined by individual circumstances), providing a range of storage capacities. Some systems are also scalable, meaning that extra batteries can be added at a later point, adding to the total storage capacity, while battery life will depend on the technology being used. 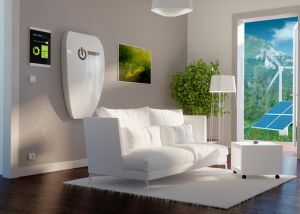 Different solar storage systems, built around the battery technology, provide a range of functions, designed to provide householders with information and control over their system, such as linking up with computers and smart devices via apps. Which companies are offering residential battery storage systems? Tesla is a forerunner and globally recognised name in the residential solar battery market, with its Powerwall 2, unveiled in October last year, utilising lithium-ion battery technology and equipped with 13.5 kWh usable capacity. “Powerwall 2 consists of a 14 kWh lithium-ion battery pack, liquid thermal control system, an integrated inverter and software that intelligently dispatches electricity when it’s needed most,” Tesla states. The Powerwall 2 measures in at 1,150 x 755 x 155 mm, weighs 120 kg, is scalable up to 10 Powerwalls, and comes with a 10-year warranty. Panasonic’s LJ-SK84A home battery storage system utilises lithium-ion technology and is equipped with 8 kWh usable capacity, with Panasonic stating that it “can be connected to any existing solar power installation with little to no disruption”. Panasonic describes the battery as “a clever system that can sense and store excess clean solar energy to power the household in the evening once the solar system has stopped producing”. “The slim home storage battery system looks similar to a heat pump outdoor unit and is a low-maintenance, standalone unit that can be installed inside or outside the home,” Panasonic states. The LJ-SK84A measures in at 1,380 x 966 x 279 mm and weighs 159 kg. Enphase Energy’s 1.2 kWh Enphase AC Battery integrated energy storage system, utilising a lithium iron phosphate battery, began shipping to customers in New Zealand last year. “The Enphase AC Battery is a key component of the Enphase Home Energy Solution, the industry’s first and only truly integrated offering that combines solar generation, energy control and storage, and provides homeowners the unique ability to manage their solar and storage together in an integrated fashion,” Enphase states. Enphase states that the modular size of the AC Battery provides for “installers to right-size each installation to match a homeowner’s unique energy needs, and gives them the flexibility to easily add more batteries in the future as energy usage changes over time”. The AC Battery, which comes with a 10-year warranty, measures in at 390 x 325 x 220 mm (without brackets) and weighs 25 kg, and can be wall-mounted in an indoor space, using standard AC wiring. Do solar batteries make economic sense? Whether solar storage batteries make economic sense will entirely depend upon individual circumstances, with a combination of short-term and long-term factors needing to be taken into account. With solar system installations on the rise, and battery technology being further developed and prices falling, it would appear that the market is poised to grow, and that the current economics will change. 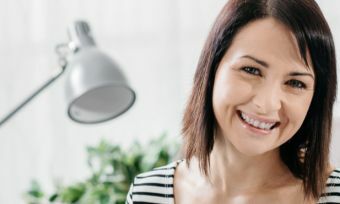 For consumers interested in purchasing a residential solar battery system, it is certainly worthwhile keeping an eye on developments in the market this year and in coming years.